A rabbit's favourite foods are juicy herbs, fresh clover, salad, twigs and peelings. Rabbits are very sociable animals. When sensing danger, they thump their hind legs on the ground so as to warn their relatives. If a predator comes too close, they flee in zigzag formation. 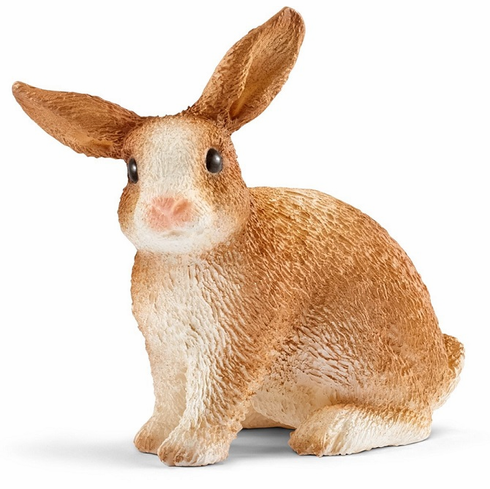 This Rabbit measures approximately 1.5 inches tall.